Over the last few days I’ve become interested in Internet security again. I always get bouts of these interests that creep up and go after a while it seems. Anyway, I remembered a conversation with a friend a few years ago about the dark web. 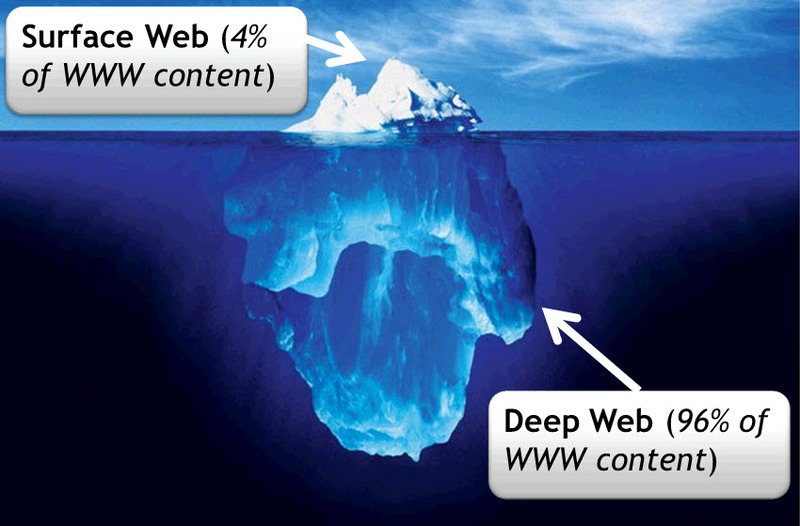 The internet that we normally access is the tip of the iceberg as it is often explained. There is a whole other world beneath the water in the depths of the web. The deep web. Several orders of magnitude bigger than the observable web. The space is essentially the black market of today, drugs, weapons, bomb instructions, professional hit-men for hire, the more unsavoury stuff, you name it it’s there. Though a lot of the posts may be hoaxes such as the offer of a luxury jet and military tanks. (Though you never know, wait hit-men? ) The BitCoin has become its currency. On the other hand there are also some good reasons for the use of the deep web, political activists for example in China, Syria etc. may use it for its anonymity. That’s all I really want to talk about regarding the dark web, don’t really know that much about it, and will continue to stay away from it. This I guess is the extent of my curiosity about it. I then stumbled on this TED video on my YouTube feed, and I have to say that it is probably my favourite video I’ve seen this week. Granted it’s not for the tech-savvy out there but more, as the speaker James Lyle said answering a comment, for those that are new to Internet security. I liked the demonstrations shown in the presentation, giving us an idea of what is possible, even though again it’s just scratching the surface. All in all it is a humorous informational talk that gives an insight into Cyber-crime. Since this post is quite late today and includes stuff that I didn’t plan to include, I thought I’d just pop this little creative video on the stuxnet virus incident in 2010 in as well, the cherry on top to this quite Internety post. PS: As Muslim I don’t recommend checking out the deep web, if that wasn’t clear.